Each stone is 6 x 6 inches. 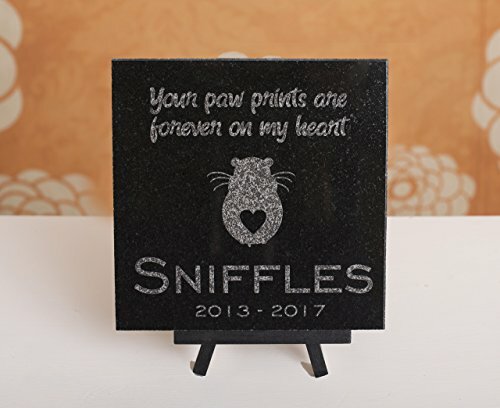 Laser engraved in black granite for a lifetime of beauty. If there is a different saying that you would like, we would be more than happy to change it for you. We can customize the entire stone. If you have any questions about this product by Barefoot Design, contact us by completing and submitting the form below. If you are looking for a specif part number, please include it with your message.